Often when I mooch around a deli it is the food packaging that catches my eye more than the contents. 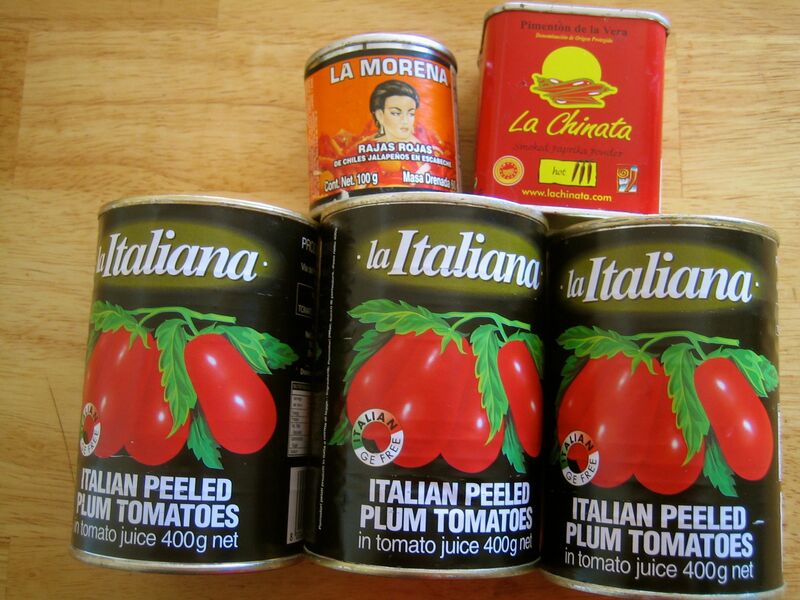 Plain old tinned tomatoes from Italy…but somehow the Italians manage to make a quotidian product look appealing. Those bold, shiny tomatoes against that black background. Whoar! I like the packaging so much…I’m loathe to eat the contents because I like having the tins on my shelf…cheering me up with their hints of hot, exotic locations and a life less ordinary. That smoked paprika is awesome! I have three different kinds at the moment – hot, sweet and bittersweet. They make everything yummier.